This is our newest baby…. Hope you have a great day and don’t forget to enter my GIVEAWAY!!! Love her! My old dog was a border Collie/Aussie cross. I have been in negotiations with G2 to get a new one! He says not until we move but I have given the ultimatum of spring 2012! They are pretty good dogs…just have to have either the time, space or energy to keep up to them! Aw! She is simply adorable! Thanks…she is a good puppy so far! She is so cute. I bet the kids are very excited. Awww puppies are my favorite, I love puppy breath & when they hiccup : ) Kids & a puppy with a baby on the way… you are super mom!!! Bahaha….crazy is the word you are looking for! Stumbled upon your blog today! LOVE IT…You have just become one of my new favorites in blog world!!! Oh and the blog title is perfectness!!! aw thanks! Great to “meet” you too! Awwwwww. So cute! Is there some border collie in that baby? Yup! 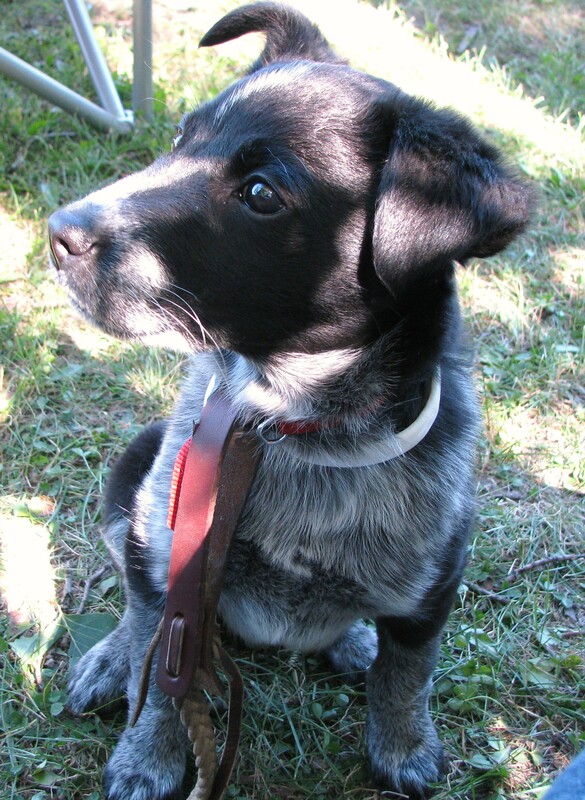 And Australian Shepard…she’s fast and smart…not a great combo in a puppy! She outsmarts me! Oh my – she’s darling! Blue Healer with maybe some Border Collie or Aussie in her? She’s super smart I bet. Yup Aussie and Collie…She is smarter and faster than me! She’s so pretty! We have 7 furry ones and I just love them all to pieces!! Enjoy your new girl! !